As a student Midwife and a Hypnobirthing Teacher, it goes without saying that I think women are INCREDIBLE! But, sometimes I stop for a moment and see myself living in a world of one up(wo)manship and competition- in a professional sense and a parenting sense! And often not in the way you would expect. Yes, there’s always the mums who’ll brag about their 2 year old who can read Harry Potter or their newborns who came out walking, but there’s also the mums who compete about who was up more times in the night this week or who had the more traumatic birth. But what if we stopped all that? After all everyone’s experience is real and everyone’s experience is valid. And I’m not saying don’t talk about it! Do! Just get rid of the agenda! 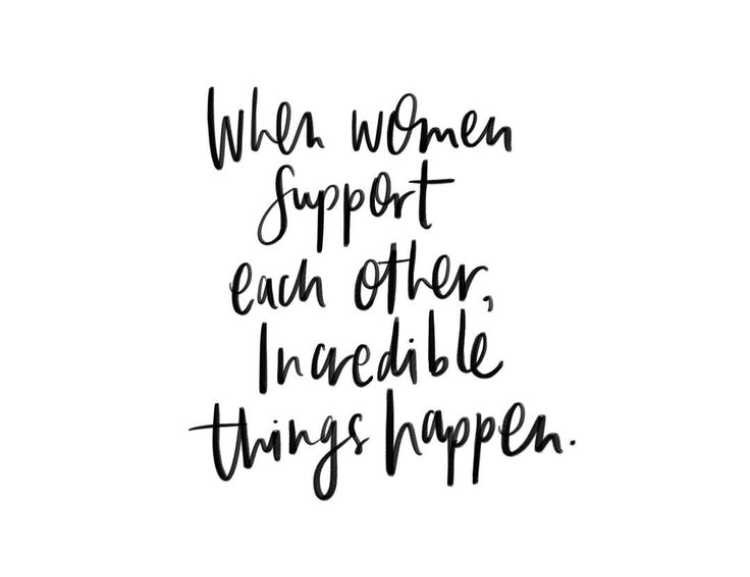 Let’s celebrate the women who are feeling brilliant and doing well, and raise up the women who need support.. we’ve all been and we all will be in both camps, it’s ok to be doing GREAT and it’s ok to feel RUBBISH! I’ve met, chatted to, taught and worked with lots of mums over the past few months who have been doing just this- them for me and me for them. Comparing one aspect of life, when none of the other variables match up, is a waste of our precious time. But, knowing you’ve got womankind on your team makes life that bit easier! One thing that I always try to remember is that success isn’t exclusive. There’s not only space for one mum to do a good job (or get no sleep) or one business to succeed. If we started viewing other people’s successes as inspiration rather than competition, and our struggles as solidarity, I wonder if we would find more success ourselves. We saw it with the suffragettes, we’re seeing it with The Positive Birth Movement.. real change happens when women support women! Just think of what we could do, together!